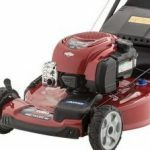 Should You Buy a Used Riding Lawn Mower? People buy used cars, used homes, used clothes, and used furniture, right? Then it must be okay to buy a used lawn mower. 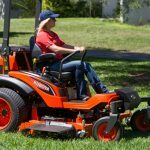 If you are considering the purchase of a used lawn mower, then now is as good a time as any to get started so that you have it when spring comes. 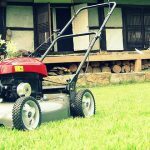 Buying a used riding lawn mower can result in a significant savings, especially if you purchase a home that has a large lawn with a half-acre or more. However, just like buying that used car, you need to do a little research to make certain you’re not getting stuck with a lemon. Yes, it is true that you can save a significant amount of money buying a used riding lawn mower rather than a new one. In fact, some people in the know say that a used riding mower costs about half of a new one. 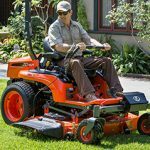 However, you need to be aware that the life expectancy of a residential riding lawn mower is about seven years. 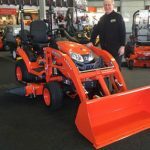 · Ask when the mower was first purchased. · Ask how often it is used. · Ask why is it being sold. 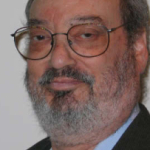 · Ask if the purchase and maintenance receipts and user manual has been kept. · The age of belts, battery, and wiring. · The condition of the tires. For example, inspect them to see if they are cracked or show signs of dry rot. · The condition of the blades and the level of the blade deck. · The fluid levels. If they are low, check for leaks. · The condition of the body. Are there cracks, dents, paint or stickers missing? If there are cracks in the chassis, then there could be OHSA issues to be concerned about. If the body shows damage like rust or oxidizing in parts, then it may have been left outdoors. 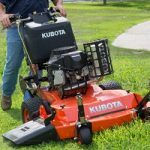 This could shorten the life of the mower and could be a sign of its overall care and maintenance. Does the front or rear axle wobble? Is it loose? Can it slide from side-to-side? If so, then it is possible that the machine has been misused. · The condition of the catcher. Check to see if metal parts are bent or missing and whether there are holes or bad cuts. · Did the engine start within a few seconds on the first try? · Does it idle smoothly? · Do the brakes work? · Does it smoke or stall? · Does it cut grass evenly? If you find any problems or don’t feel comfortable about the apparent condition of the lawn mower, then walk away.